Advanced technologies are being implemented in assisted living facilities across the country. 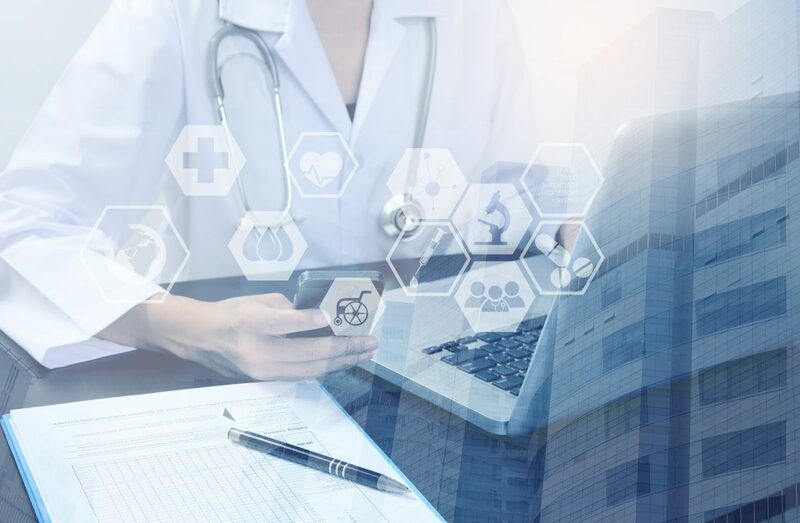 These technologies improve resident safety, streamline delivery of services, and serve to manage healthcare records in an efficient and secure manner. Unfortunately, as new technologies are adopted, new risks emerge. Considerations of resident privacy and data security are at the forefront of risk management, especially when cyber criminals are intent on stealing sensitive information for illicit use. Along with specialized cyber insurance, senior care facilities must balance the benefits and drawbacks of technology in their operations, ensuring that their residents have the privacy and the information safety they deserve. Technology moves at a rapid developmental pace. What was virtually impossible a decade ago is common in today’s world. Nowhere is this truer than in the healthcare industry, which has quickly come to rely on technologies to improve patient care. Assisted living facilities have also rolled out advanced technologies to better serve their residents, including remote safety monitoring systems and digital recordkeeping platforms. On the personal side, residents of care facilities have adopted voice-activated digital personal assistants like Siri or Amazon’s Echo, smartphones, and Web-enabled devices to communicate with family members, retrieve information, and for entertainment purposes. It is no surprise, however, that the elderly population is at risk when it comes to technology, or rather the potential for technology to serve as a conduit for criminal acts. Cyber criminals often target seniors, including those living in care facilities. Phishing schemes to steal personal information have led to millions of dollars in losses, both from seniors themselves as well as the facilities they call home. Highly-publicized data breaches at numerous healthcare facilities have resulted in stolen identities and additional financial losses. Finally, privacy has moved to the forefront of consideration for healthcare facility managers, particularly in those facilities that employ remote monitoring systems to help keep a watchful eye on residents. While these monitoring systems were developed to improve resident safety, their use can run afoul of resident privacy rights. Facility managers must implement technology that preserves resident rights while performing the safety aspects they were designed to do. Assisted living facilities owe their residents a safe, comfortable, and compassionate living environment. Among the many considerations in daily operations is the role of keeping resident information secure from cyber criminals. When selecting technologies for use in care facilities, facility managers must take the steps needed to protect electronic records from data breaches. This can include enterprise IT solutions such as network monitoring, applying vulnerability patches, and investigating new hardware and software measures to block access to data through hacking. Staff training cannot be overlooked in the quest to secure electronic data; in fact, it is generally understood that the users of a given computer system are the “front line” between hackers and data security. Training facility employees to adopt safe computer practices goes a long way in preventing phishing attacks and online scams from interfering with business operations. As mentioned earlier, balancing privacy considerations against the value of certain technologies, such as remote monitoring systems, is another area where facility managers and staff must be aware of potential liability risks. Protecting facility residents’ rights and personal information should be the ultimate deciding factor when selecting new technologies for use in care facilities. As an added layer of protection, the role of cyber insurance cannot be overstated. Cyber liability insurance provides coverage for both first- and third-party aspects, including crisis management, business interruption expenses, legal fees and settlements in cases of liability suits, and even the costs associated with notification of affected customers and employees after a data breach. Cyber insurance protects a facility’s financial assets from loss while providing valuable coverage for the facility’s staff and residents.